There's three external connectors along the left side, from the top, a headphone jack, a uFL connector and a 2 pin JST-PH. There's also a second uFL connector in the top middle. 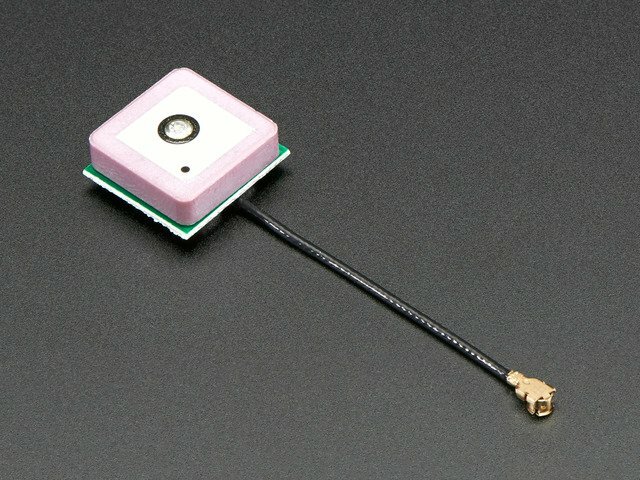 uFL GPS connector - this is the GPS Antenna connector, an antenna is required if you want to get GPS readings! 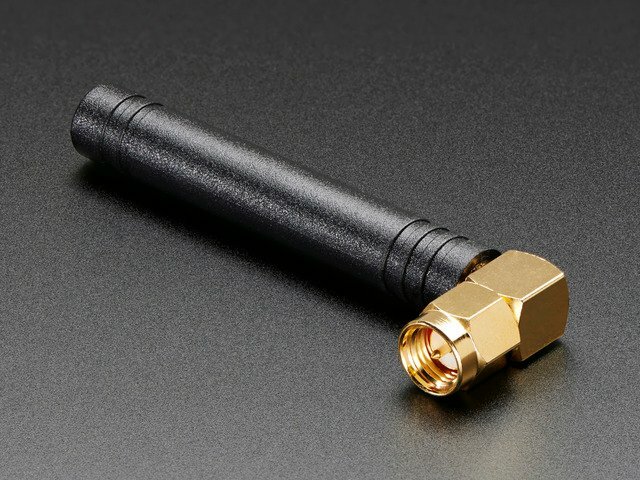 You can use this 15mm passive antenna, or any other passive 50 ohm antenna with a uFL connector. 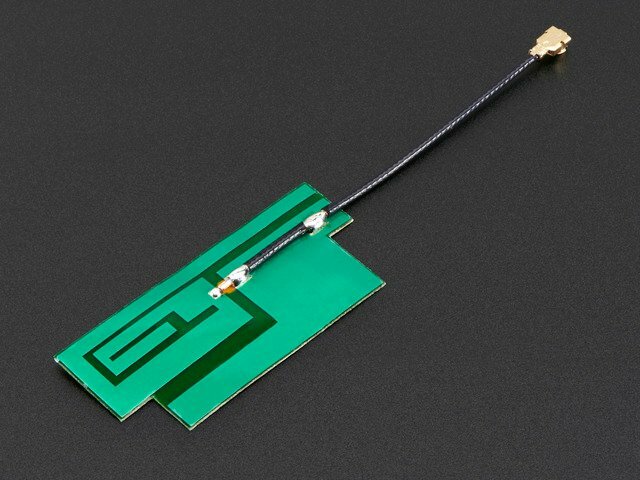 You cannot use an active antenna, although we have added some spots for optional bias circuitry, we couldn't get it to work with our active antennas so we left the pads there but not assembled. 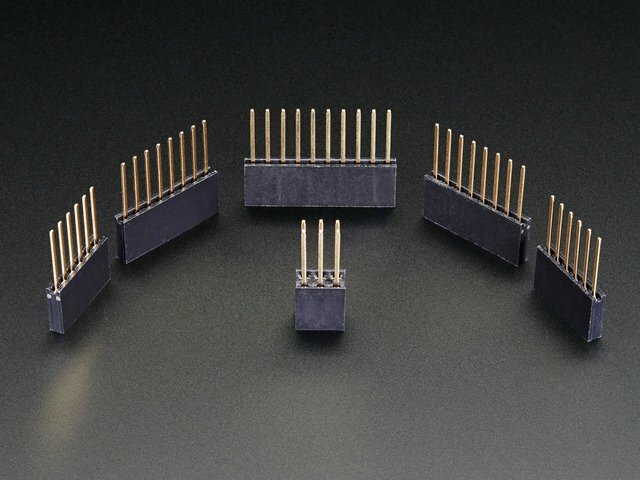 The most important pins are broken near the top left of the board. This is how the Arduino will communicate with the FONA shield! RX & TX - The module uses UART to send and receive commands and data. These pins are auto-baud so whatever baud rate you send "AT" after reset or boot is the baud rate is used. RX is into the module connected by default to Digital #2, TX is out of the module, connected to Digital #3. 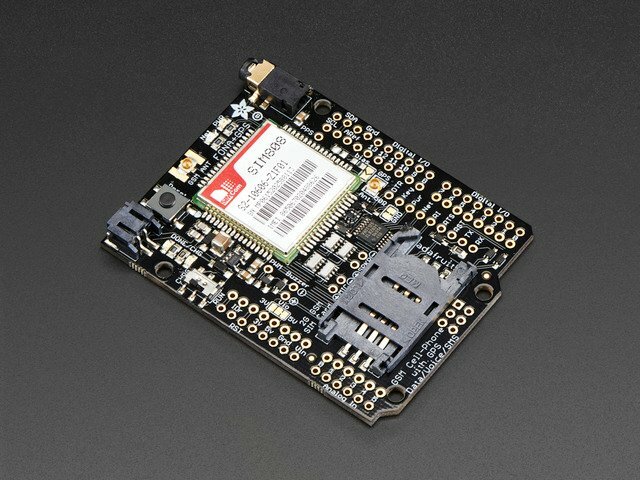 The default connections will work on a Uno, but other arduinos may not support software serial on pins 2 and 3. Check this page to see what pins to use on your arduino. 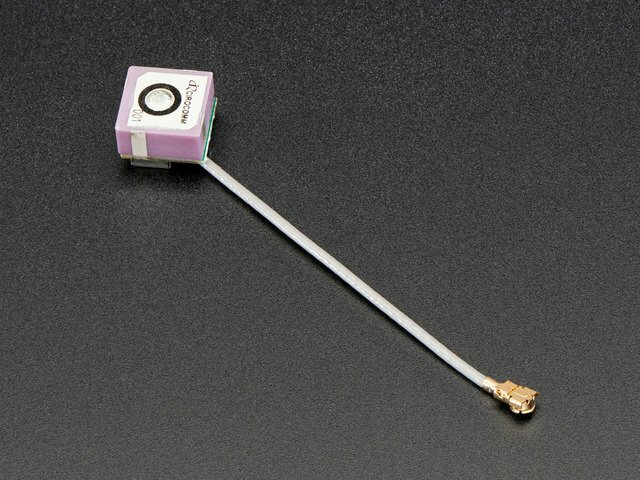 Reset (RST)- this is module hard reset pin. By default it has a high pull-up (module not in reset). If you absolutely got the module in a bad space, toggle this pin low for 100ms to perform a hard reset. We tie this to Digital #4, and the library does a hard-reset so you always have a fresh setup. RTS (Ready To Send) - This is the module's flow control pin, you can use this to control how fast data is sent out from the module to the Arduino, good when you want to read only a few bytes at a time. RI - this is the Ring Indicator. It is basically the 'interrupt' out pin from the module. It is by default high and will pulse low for 120ms when a call is received. It can also be configured to pulse when an SMS is received. 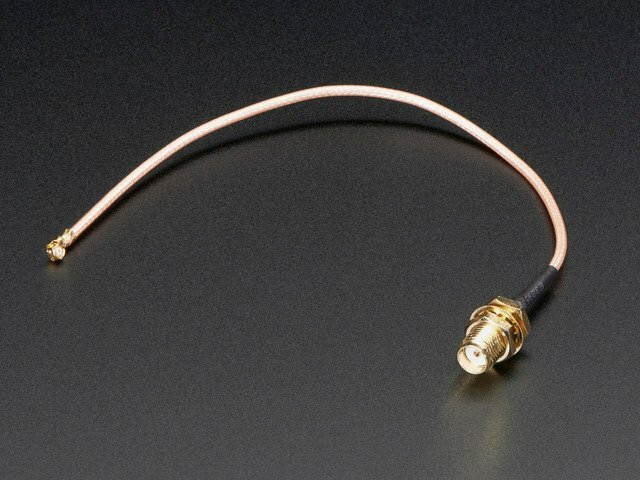 This is not connected to any pin by default, so solder a wire if you want to use it! Pwr - this is the Power Status pin. It is low when the module is off and high when the module has power. If you're using the Key button or pin, you can monitor this pad to see when the module's booted up. This is tied to the Pwr LED too. Buzzer and PWM - These are tied to the PWM output of the module! The PWM capability is quite nice, it can set any frequency and duty cycle. The PWM pin is directly output from the module and is 0-2.8Vpp. The Buzzer output has a NPN drive transistor so it can run a small vibration motor. Bz+ is the VBat voltage, Bz- is toggled on and off to ground. PPS - this it the 'pulse per second' output of the GPS. We didn't have space for a level shifter so this is a 0-2.8V signal, so you may not be able to read it on a 5V logic Arduino. However, if you really need it, you can shift it manually. This guide was first published on Jul 17, 2015. It was last updated on Jul 17, 2015. This page (Pinouts) was last updated on Apr 24, 2019.